Found in the fun filled spot that is GET Arena, G Lounge is a spot to chill and have fun. 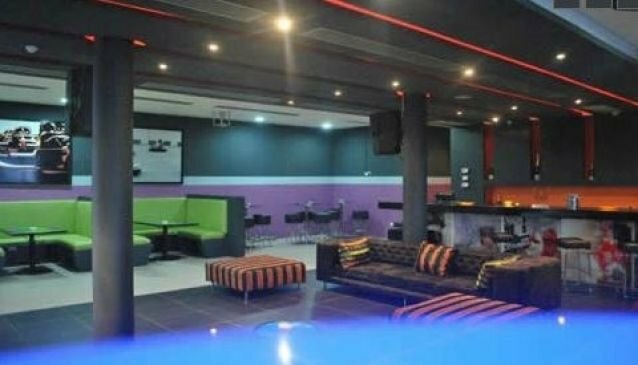 You can take the kids go karting (or you Kart yourself) and relax and wait for them in G Lounge or you can come out at night and see how the place transforms into one of the best hang out spots of the night. During the week, people beat the traffic and come hang out here.They have a wide array of cocktails and very lovely tasty and well prepared food. They are known to quite artistic and feature a poet, stand up comedian, artist, actor or live band to give you different thrills of the arts. The music is good(their DJs know their stuff), the atmosphere is live and you get to meet young, trendy and cool people maybe just coming in from work or just lounging.